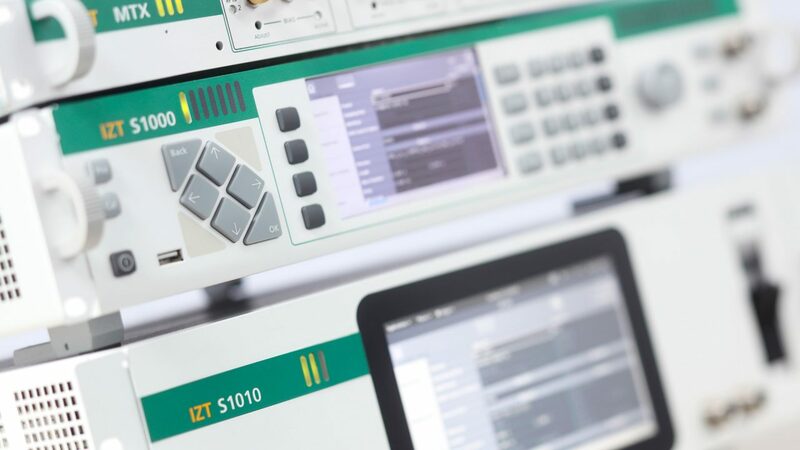 The IZT S1000 Digital multi-channel Signal Generator is the perfect source of today’s RF waveforms with increasing complexity and bandwidth.They comprise in one unit the simultaneous replaying of 31 RF signal channels and make it possible to replace extensive setups while reducing time and cost. It enables the user to consolidate multiple conventional RF generators into one compact, cost effective, ﬂexible, and easy-to-use RF test source. Modern radio receivers no longer gather information from a single modulated carrier, but often from multiple sources simultaneously. The multiple signals can be from more than one antenna, with independent carriers and different modulation formats. The IZT S1000 with its revolutionary architecture and IZT’s patented signal processing algorithm combines multiple technologies to match the receiver’s test requirements without a costly batch of standard RF generators. Based on the IZT S1000 there is a model variation comprising its full functionality with extended additional memory for the most demanding application – the IZT S1010 Signal Generator. In the IZT RecPlay recording and playback system, the IZT S1000 is used as a signal generator.